Here was the thing - the Sinclair ZX81 had a "keyword mode". The cursor was an inverse video 'K'. Most keys on the keybaord had a keyword associated with them - 'P' for PRINT and of course 'D' for DIM. 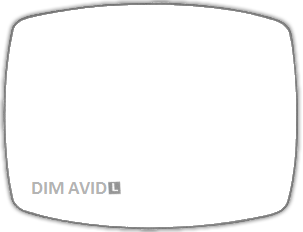 When a key was pressed the computer would display the keyword followed by a space to make things nice, hence "DIM AVID" was displayed when I typed D, A, V, I, D.
From then on, I was totally hooked on programming and the rest is history as they say.